The Amitzim program offers 13-18 year olds, who require additional support, the opportunity to participate in the full range of Ramah camper activities and develop friendships with all campers. 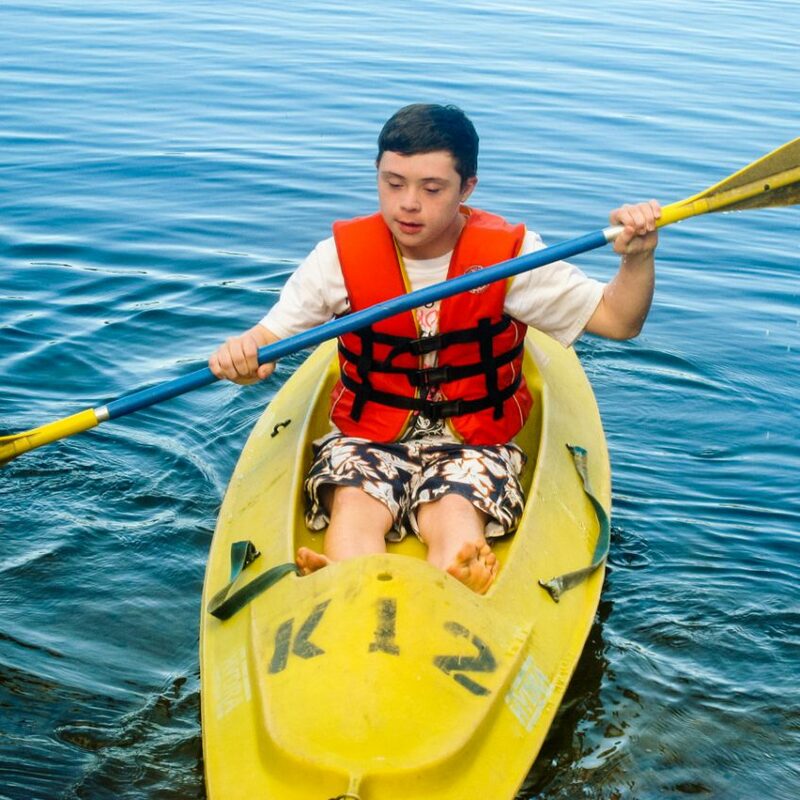 Amitzim campers are provided with inclusion opportunities throughout the day and have the advantage of participating in a schedule and bunks that are specially-designed to meet their needs, while providing them with the full camp experience. Voc Ed Ma’avar is a transition program for young adults that bridges our Amitzim and Tochnit Avodah (Voc Ed) programs. 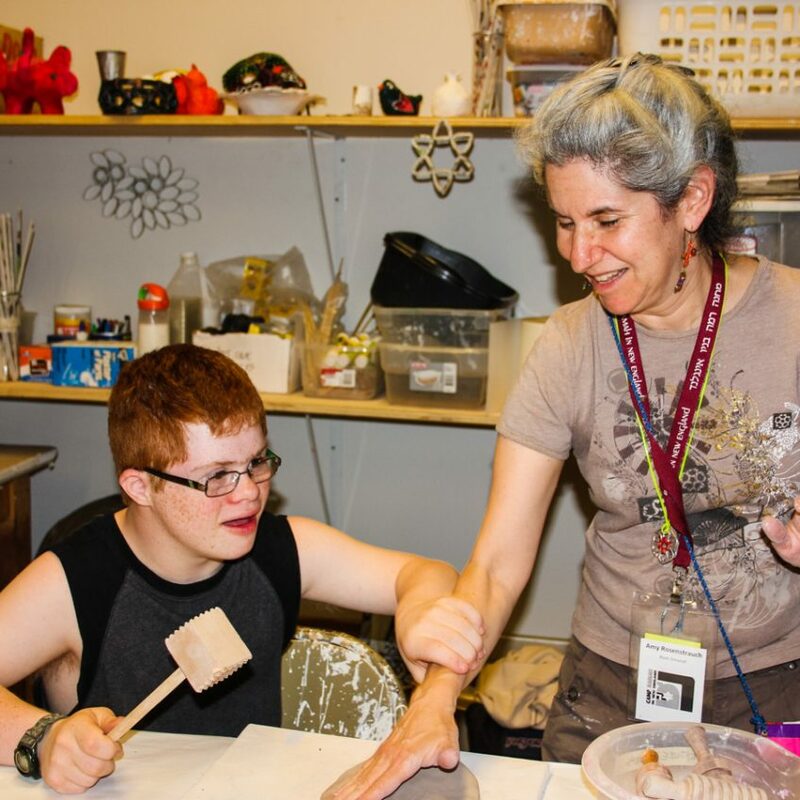 To learn more about our Tochnit Avodah (Voc Ed) program and Voc Ed Ma’avar, please click here. For our Amitzim campers, the highly structured day offers opportunities to learn and grow by doing. Campers participate in swimming, arts and crafts, Israeli dancing and singing, sports, Jewish learning and such chugim (electives) as boating, photography, nature and the ropes course/climbing tower. Bunk life and various trips provide our campers with opportunities to learn skills associated with daily living and to gain independence. Amitzim campers live on the B-side of camp in close proximity to our older campers. 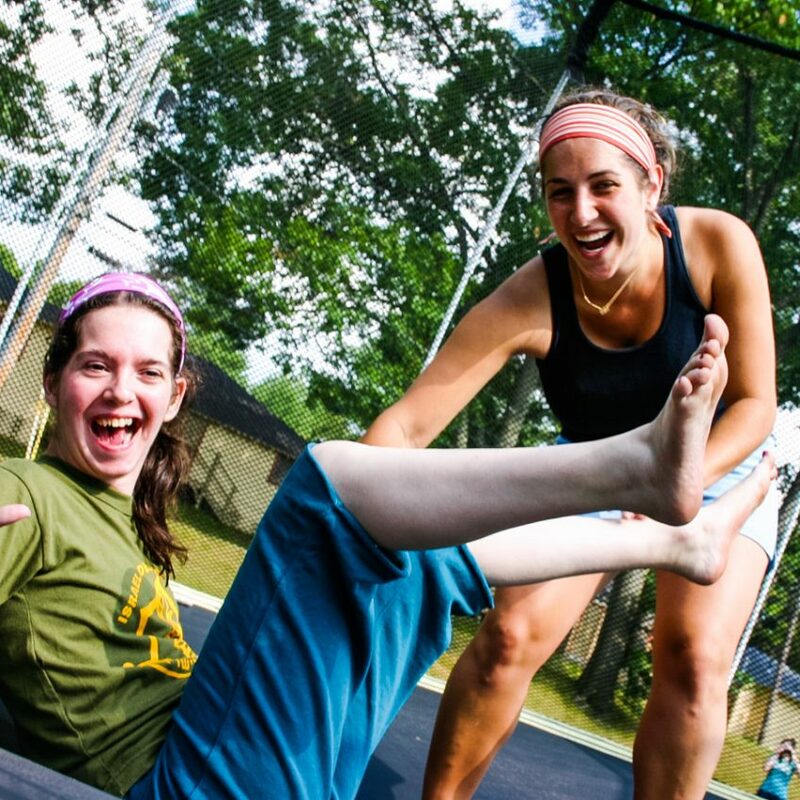 There are numerous formal and informal opportunities to interact with all campers at Ramah, including “buddy” programs, joint bunk and divisional activities, and informal meetings. Once each summer our Amitzim campers put on a joint play with our Machon edah (division for current 8th graders), a special experience for campers in both edot (divisions). Amitzim campers participate in all camp-wide activities, trips, and our camp-wide Shabbat t’fillot (prayer services). In the off-season, campers and staff stay in touch in a variety of ways, including our weekly “Shabbos Is Calling” video conference. 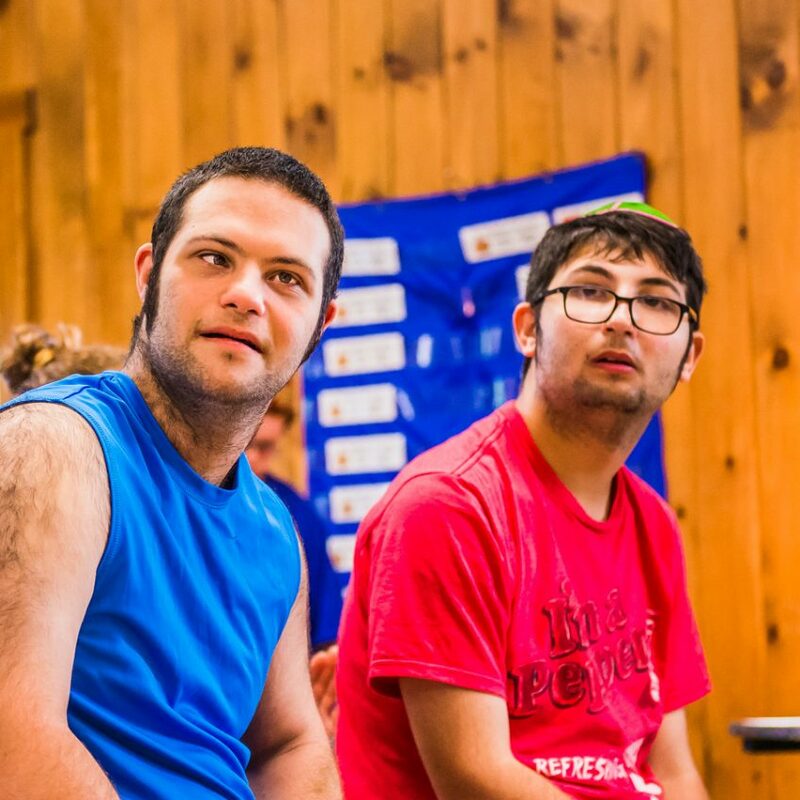 Like all Ramah campers,Tikvah Program participants are fully immersed in Jewish life and Hebrew language. 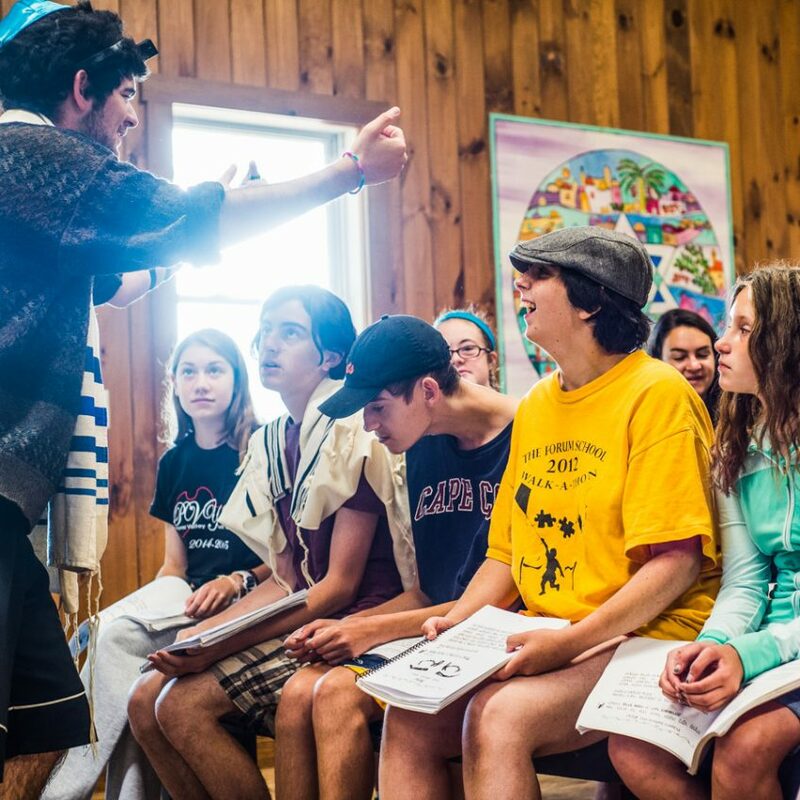 From spirited, musical morning prayers to daily interaction with Israelis, Hebrew singing and dancing in the dining room, and performing a Hebrew-rich play for the entire camp, Tikvah campers enjoy the beauty of their religion and culture. Some have even celebrated b’nai mitzvah at camp! Many have participated in the Tikvah Israel Program. Specially-trained counselors and senior staff monitor each campers’ special needs, from seizures to allergies to mobility issues. Counselors assist as needed with self-care, and alert medical staff are always available as issues arise. Doctors, nurses and the Tikvah Director carefully manage health, medical and medication issues. 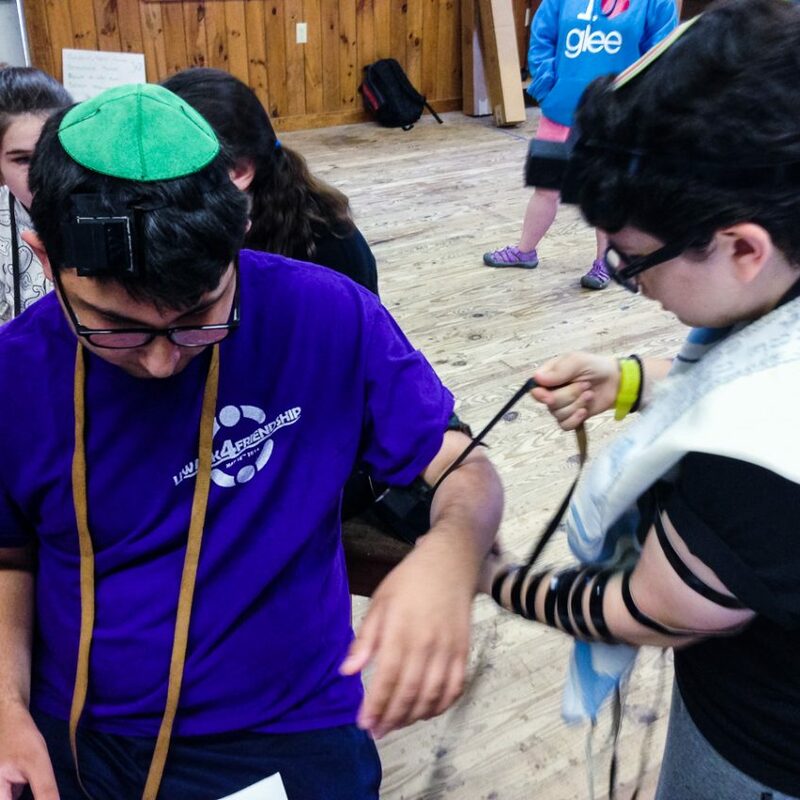 Our Amitzim campers have a wealth of opportunities to connect with other campers from across camp. Please enjoy this video spotlighting our Amitzim Buddies program!